What a question to ask of an entertainer who has devoted so many years working solidly in the business of pleasing crowds. Whether those crowds are fickle pub or club patrons or a room full of 500 party-goers for a wedding or convention, Mr Kirk Davis can, will and does captivate that audience. After more than 8000 performances, Kirk is possibly the best known one-man-band covering Sydney Metropolitan & Western suburbs, the South Coast and Highlands areas where he has endeared himself to audiences of all ages. Kirk Davis is one of the enduring members of the entertainment industry. 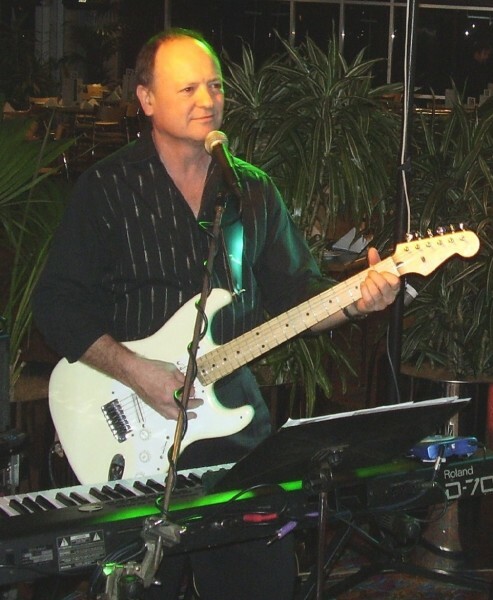 He has done it all; from fronting popular 70's rock bands "Jade" and "Room Service" , to Duo work with “That’s Life” and a solo or one-man-band format. The gamble paid off when Kirk took the plunge to go it alone and his calendar, averaging five and six nights a week booked well in advance, is testimony to his enormous talent. Few musicians can boast the multi-faceted musicianship of Kirk Davis. Not only is he an accomplished pianist, guitarist and keyboard player, he is also pretty handy with a harmonica and is a very dynamic vocalist, incorporate all of these elements with his songwriting skills and his technical ability to add computerised backing to his music and you certainly have a virtual orchestra rolled into one man on stage. When Kirk is not on stage performing, he is constantly busy in his studio preparing his shows, adding new material or writing his original songs. Kirk released a solo album: a self financed project of 11 songs entitled "It's Tough At The Bottom", and there is a promise of another album project in the near future. With well over 700 songs from the classics of every era, Kirk is bound to play something for everyone in his stage presentation. He is constantly adding to his repertoire with songs requested by his audiences, so a return engagement usually ensures that special song is played. Weddings, of course are Kirk's specialty and his services are very much in demand for these very special functions, where Kirk entertains the guests from their arrival with dinner music right through to rock n roll and dance music and the final departures. Since 1992 Kirk has hosted Trivia nights as part of his range of services - a guaranteed fun night out for the thinking (or maybe non thinking) person.